When a person becomes newly disabled, there is a whole host of uncomfortable emotions involved. Disability can result from injury, accident or genetic conditions. And it’s not something that you can easily prepare for. Things in your life change very dramatically, and there’s no set formula for how things should pan out. If you’re newly disabled, the world can suddenly seem like a very frightening place. Things you would have once done automatically now take an extreme amount of planning and effort. You feel more anxious and more scared. You are much more dependent on other people to meet your needs. And you feel grief at the loss of certain abilities you had in the past. What’s more, these negative feelings can have further adverse impacts on your mental health. In turn, these negative thoughts can stifle your drive to succeed and be successful in many areas of life. I don’t pretend that these tips will be able to resolve all of the tough issues you’re facing right now. But they may be of assistance to see you through some of your most challenging hours. To a person who was able-bodied, imagining what being disabled is like is tough. 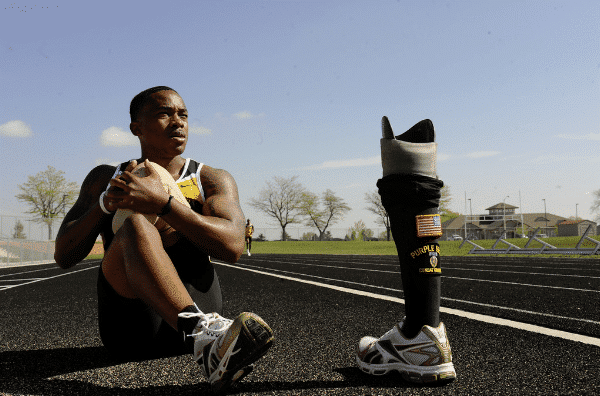 What could it possibly feel like to lose the use of your legs, or not be able to see? Losing those abilities seems so alien to what it’s like to be alive that it’s easy to think that a person must be fundamentally changed. But the good news is that that isn’t necessarily the case. Losing a capacity to do something is an opportunity to do it in a different way. Norman Doidge, the author of The Brain That Changes Itself, provides some interesting insights. In part of the book, he describes a woman who had become blind as a result of an accident. The women couldn’t see for years until a doctor came up with an unusual experiment. The doctor decided to see if the woman would be able to see again through her tongue. It sounds bizarre, but the idea was to stimulate different parts of her tongue, using a stimulative device. The output of the device depended on the images she was seeing. If she saw a cat, that would result in a particular pattern of electrical signals through the device. If she saw a child, that would lead to a different set of signals. What was astonishing was that the woman was able to “see” again, using her tongue after a few weeks of practice. Her brain rewired itself to interpret the signals coming from the tongue as visual signals. What this experiment taught scientists was that the brain could be molded to adopt new strategies. It showed that people with disabilities have the opportunity to retrain their brains more highly. They can develop new skills that they didn’t know that they had before. Living with a disability means that the way you live has to fundamentally change. 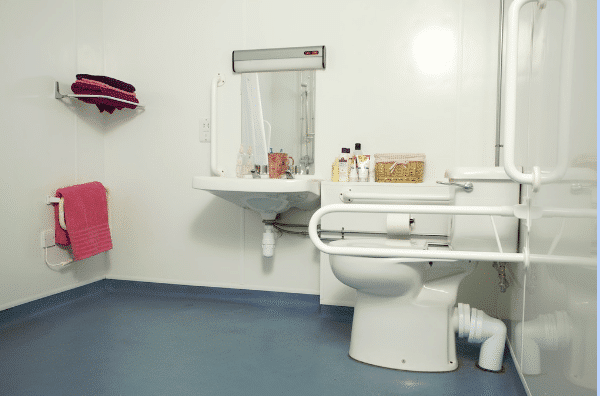 You’ll have to think about where you’ll store things like wheelchairs and wheelchair batteries. 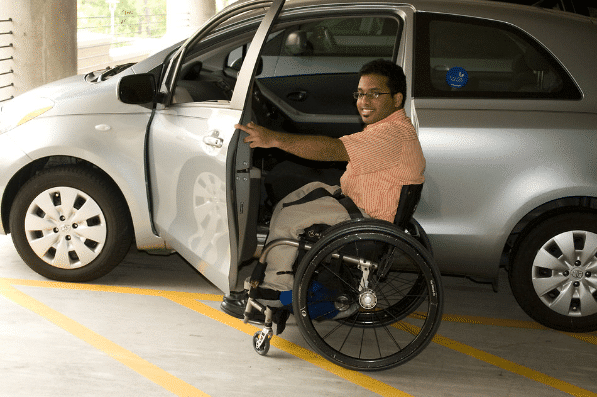 And you’ll have to adapt your car to accommodate disabled access. You’ll have to invest in things like handrails and stair lifts. And you may have to incorporate things like hoists into your sleeping area. Most of this can be organized by your care team. But you’ll need to think carefully about where you keep all your equipment. One of the most challenging issues for the newly disabled is the way that they are treated by others. On the inside, they feel exactly the same as they ever did. But it’s what’s on the outside that other people see. Most people aren’t trained in how to deal with somebody who has become newly disabled. And so they might not react to you in the way that you would like. The best solution is to reach out to the people that you are closest to and tell them your needs. Tell family members and friends that you’d like to be treated, just as you were before. A disability doesn’t mean those other aspects of your relationship with them needs to chance. Nor does it mean that your personality has undergone a transformation. You’re the same person you ever were, just with some additional care needs. It’s a sad fact, but the government won’t completely take care of you during your disability. Yes, you’ll get paid Social Security disability benefit. But this is only just enough to cover the rent and bills. You could see this as a curse. It doesn’t seem fair that you’re consigned to a life on the breadline, thanks to a disability. But many disabled people turn their low incomes into a source of passion that ignites their will to succeed. Disabled people often take on work on the side to supplement their income. They find creative ways to earn a living, despite their condition. Think carefully about your talents and the sort of services you could offer people. Could you offer careers advice? Counseling? Tutoring? Translation services? Web design? Transcription? Accounting services? The list of possibilities is potentially endless. The government is supposed to be there to look after you in your hour of need. But a combination of delays and indifference can make it seem as if they really don’t care. The sad fact is that often they don’t. So what can you do? Here’s a tip: keep records of all your correspondence you have with government departments. Make sure that you write down the names of all the representatives you talk to. And ensure you keep a log of exactly when you called. You can then use this information to get the services you want faster and try to beat the bureaucracy. Being firm, but polite, will help you get treated in the way that you would like.